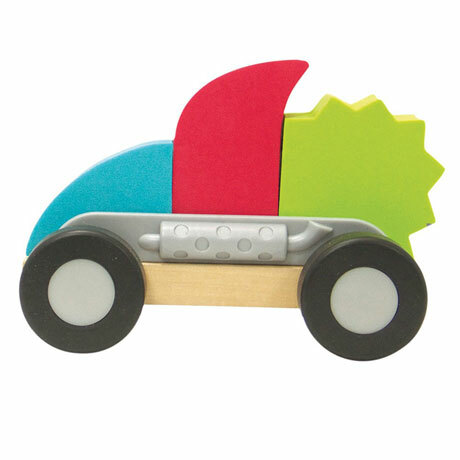 Switch 'em, swap 'em, and shift 'em! ModMobiles lets your child create fun, new car combinations with ease. 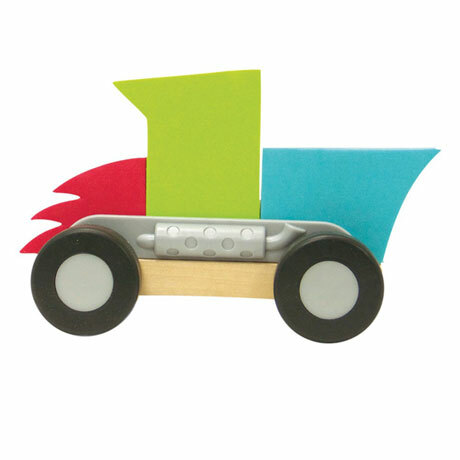 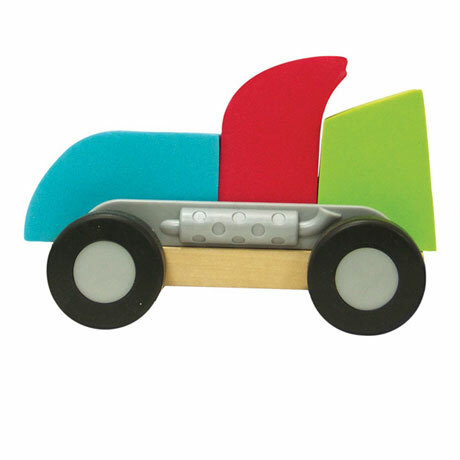 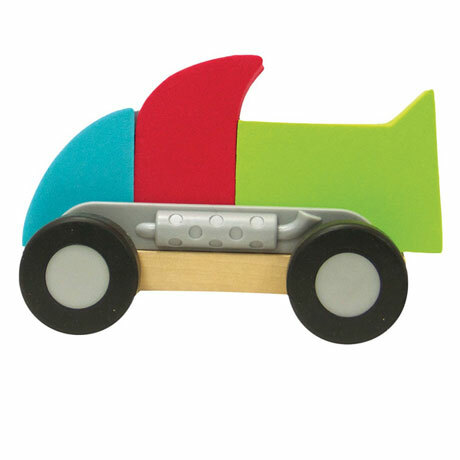 The colorful foam pieces slide into each car's chassis without any snapping, clicking, or latching, so your little gearhead can change their creation from a hot rod to a sports car to a combine harvester in seconds. 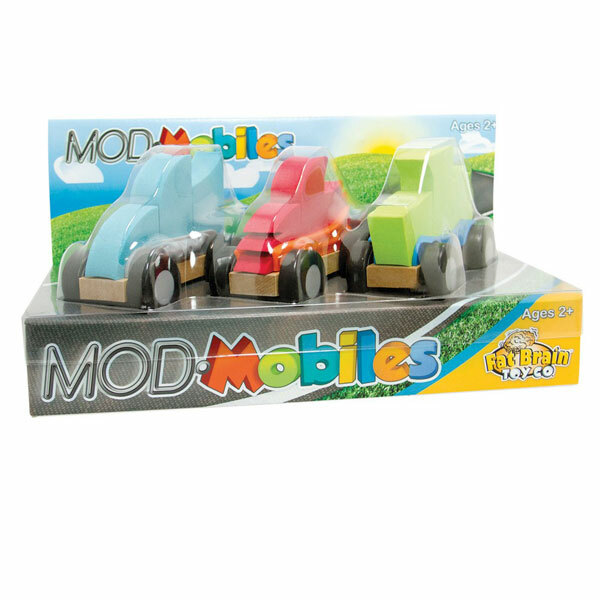 Each ModMobile has a real wood chassis and three chunky foam pieces. 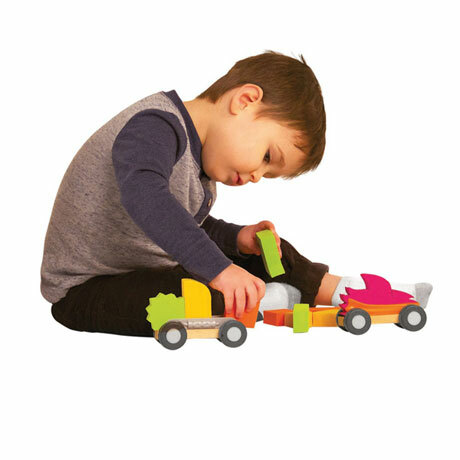 Set includes three pre-made vehicles with completely interchangeable parts for almost unlimited vehicle creation. 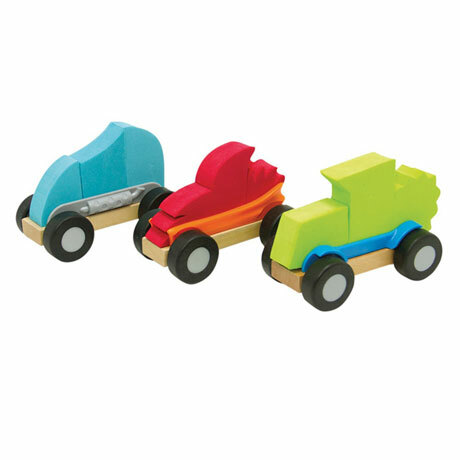 Safe for ages two and up.